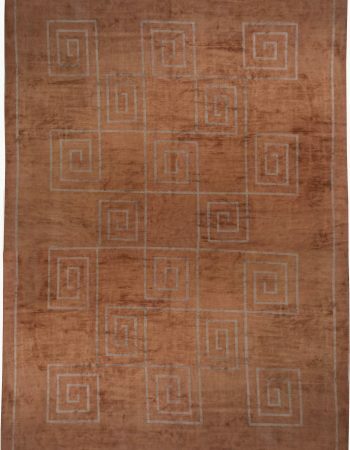 The beauty of this exquisite contemporary Swedish carpet is almost indescribable. 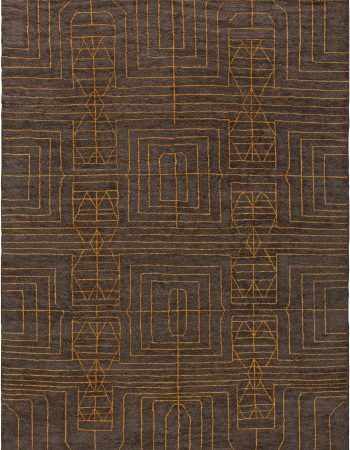 Made with the highest quality materials available, the mid century modern rug features a mesmerizing pattern. The scale-like elements look as if the weaver wanted to recreate the beauty of mermaid’s tail, shimmering in the depths of the ocean. 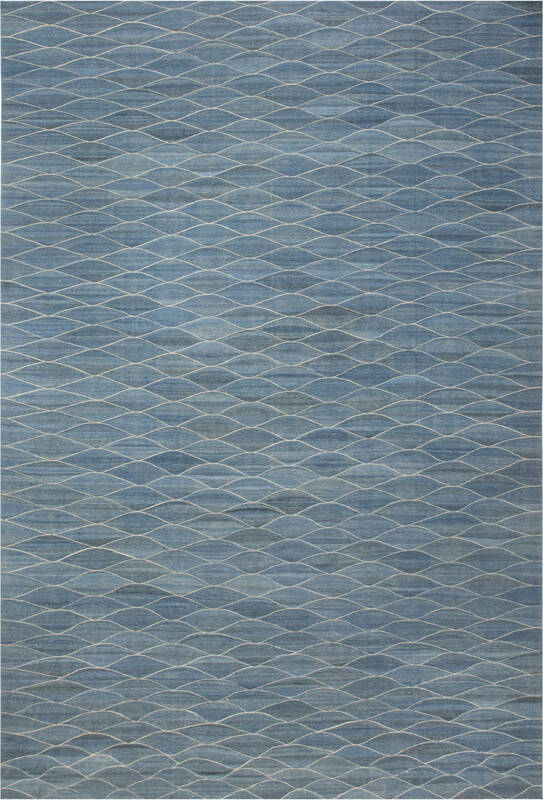 Beautiful shades blue, from pastel to almost indigo, mixed with elements of white create an unforgettable composition, which leaves you starved for more and more. 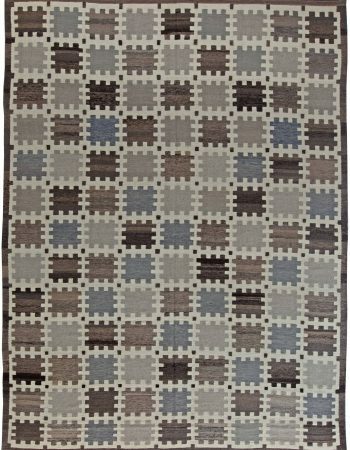 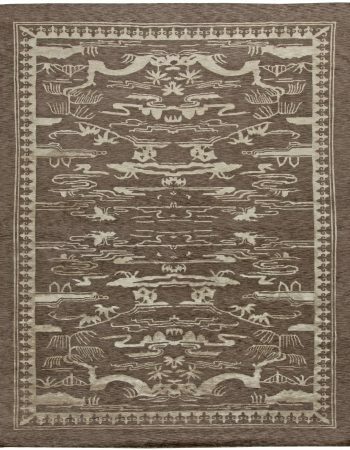 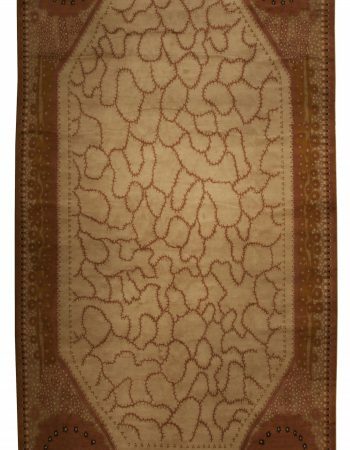 Thanks to the techniques used during the process of weaving, the rug is not only soft, but also durable, making it a great investment for the future.